The construction of the new Boys Hostel at Andiamo Educaton Institutions (AEI) campus is going on well and this has prompted AEI office to ask well-wishers to help with beds. 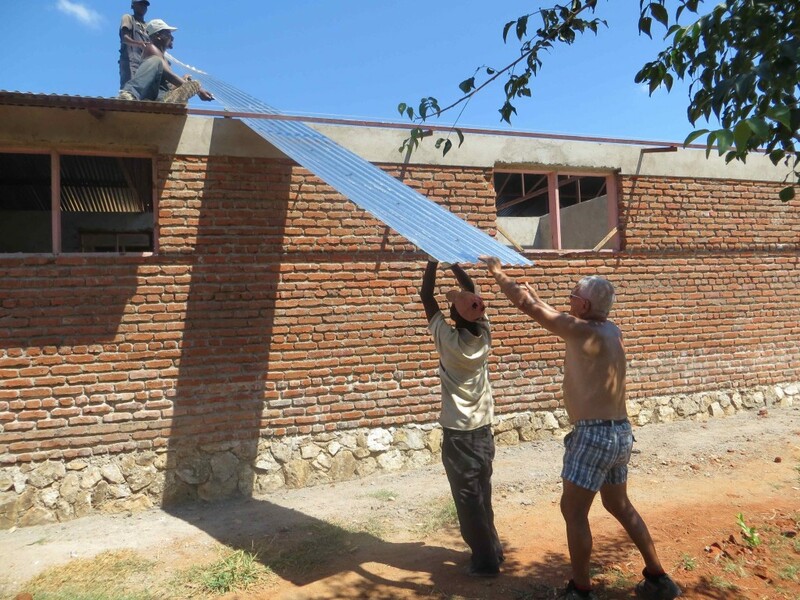 As was promised by Franco Fiorina, a volunteer from Italy who also built the new girls hostel, that when he leaves on 18 April this year, the hostel would be on the roofing level, everything is in order. A visit to the site has shown that by the end of business on Wednesday 10 April, they would be through with the iron sheets. 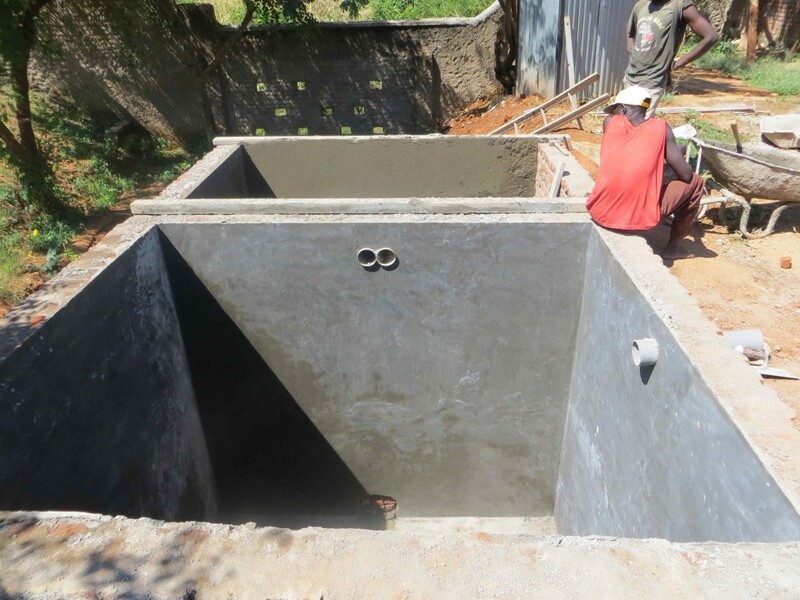 The sceptic tank for the soon to be built ablution block is also almost done. This means that the problem of accommodation will be history soon and the only challenge is to furnish this new hostel with beds, enough for more than 60 students. AEI campus has a Secondary school, computer school, a technical school that offers courses in tailoring, carpentry and joinery, electrical installation and motor vehicle mechanics. The project has been made possible by the generosity of Bruno, a late brother to Annamaria who donated part of his wealth to Andiamo Youth Cooperative Trust of Balaka. The foundation stone of the new hostel was laid on 22 May 2012 and present on this occasion was Annamaria who had come to Malawi to fulfil the wish of her late brother to share part of his wealth to the youth of Balaka, who were included in his will before he died in February 2011 in Italy. May the soul of Bruno rest in eternal peace. This entry was posted in Education, News from Malawi and tagged AEI. Andiamo Education Institutions, Franco Fiorina, Italy, Volunteers. Bookmark the permalink.